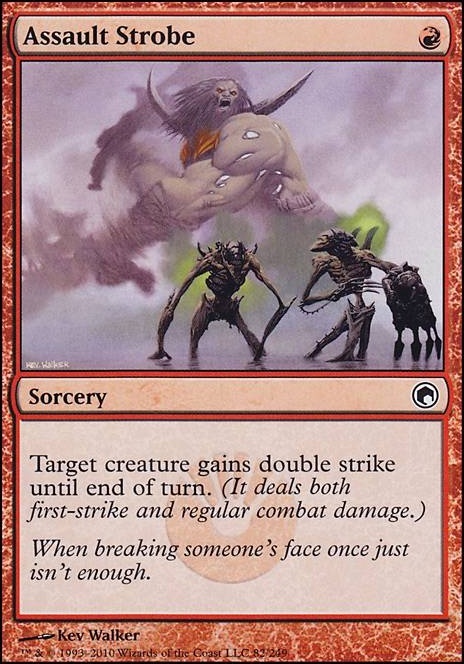 Does double-strike affect "when this creature deals damage to target player?" can card:Emrakul, the Promised End be targeted by an instant when it is the graveyard??? Erdwal Ripper and double strike? 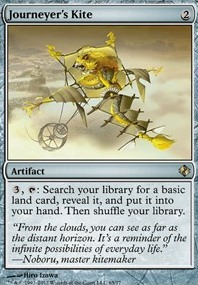 This deck seems sweet! Looking through the list, I'm much more convinced that the aggro side works! I'd test: Mirrorwing Dragon Pyromancer's Goggles Primal Amulet Flip (this saves you a lot of mana on the 2+ cmc spells) Zada, Hedron Grinder (synergizes really well) Shelter (draw seems incredibly important for feather) Weathered Wayfarer (staple for boros imo) Crimson Wisps (better than accelerate) Chandra's Ignition Fight with Fire Boros Charm is probably just better than Assault Strobe and should probably come in. I added Spiritualize since it could helps with life for Aetherflux Reservoir but probably isn't good enough to stay here. I'll swap them and see how it plays! Assault Strobe might fit well. I’d use it to replace Spiritualize , which just isn’t that strong. I just remembered that Double Strike is a thing. 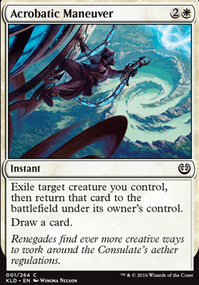 Depending on your preference, Temur Battle Rage , Assault Strobe and Uncaged Fury would all probably be better than some of the instants you already have. 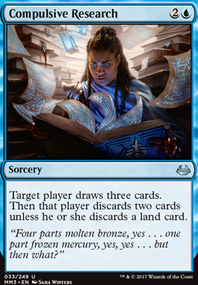 Probably Temur for instant speed and being cheaper than Fury? Dynacharge doesn't trigger Heroic if you use Overload, so I don't like that one very much, but I'd need to playtest to see if it's worth it. 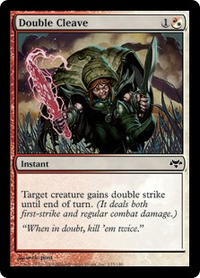 Dete on Pauper Explosions - turn 2 win! i would take out Flailing Soldier and a Goblin Motivator , Prey's Vengeance , Brute Force or Giant Growth to add Monastery Swiftspear your choice of how many, Vines of Vastwood or Apostle's Blessing for protection, Gitaxian Probe or Manamorphose for filling your hand and having a more consistent way of dealing damage with either Kiln Fiend or Monastery Swiftspear and maybe add Gut Shot but i don't like it very much. Immolating Souleater is an okay plan B.
my guess is you would want 12 creatures and 14 if you keep the 2 Goblin Motivator . and maybe drop 1-2 Assault Strobe or Temur Battle Rage . well forgot Monastery Swiftspear is not legal, but im too lazy to re edit the comment so Immolating Souleater is the other choice you got, wish gives you the option to use Built to Smash . StoryArcher on Advertise your MODERN deck! I'm playing around with a Gruul Infect deck that has a legitimate opportunity for a turn-two win with Assault Strobe and gives you flexibility when it comes to finishing the game out on the back end with Flesh / Blood . Any input before I take it live would be much appreciated.